This painting kills me, it’s so cute. 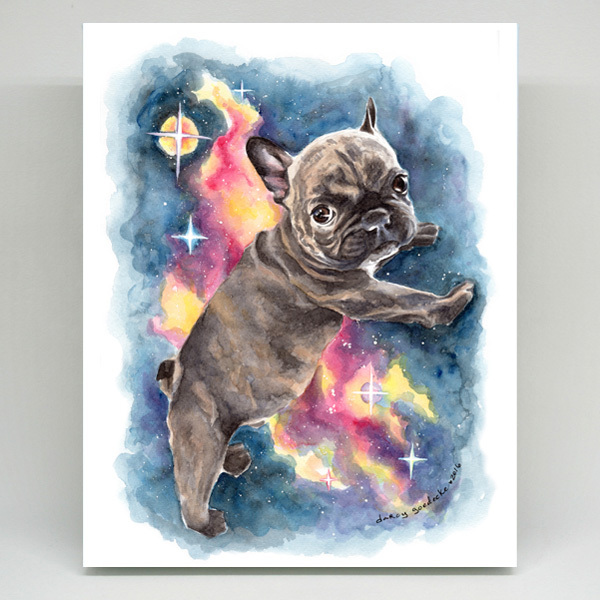 Buddy is a frenchy (french bulldog) with a nebula background. I made the original painting in watercolors and it was so much fun! This high quality Giclee (ink) print is on stretched canvas with white sides to match the front.